Robert Vadra, brother-in-law of Congress president Rahul Gandhi, was granted interim protection from arrest till February 16 by a Delhi special court on Saturday in connection with a money laundering case. A Delhi court on Saturday granted interim bail until February 16 to Robert Vadra in a money-laundering case and asked him to appear before the Enforcement Directorate (ED) on February 6 and join the probe. Vadra, who is in London at present, had filed an anticipatory bail application on Friday in the case linked to allegations of money laundering in purchase of London-based property worth 1.9 million pounds. 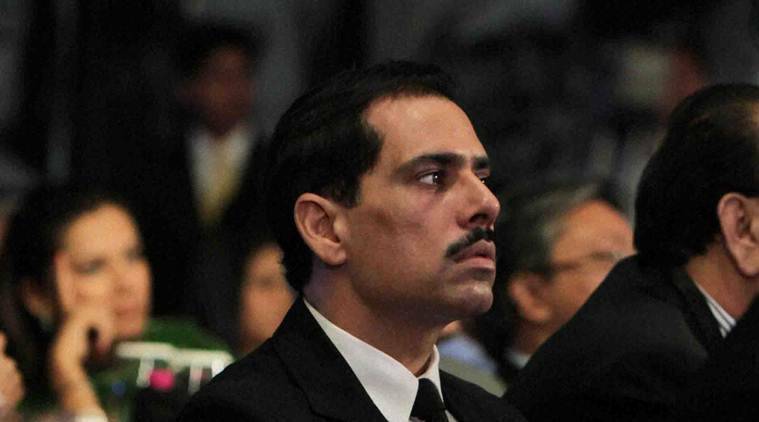 The court asked Vadra, brother-in-law of Congress president Rahul Gandhi, not to leave the country without permission. Apprehending pre-arrest in the case lodged by the ED regarding “ownership of undisclosed assets abroad”, Vadra’s counsel told Special Judge Arvind Kumar that his client is in London at present and will join the investigation. The court issued notice to the ED and sought its stand on Vadra’s plea by the next date of hearing — February 16. While extending the relief, the court directed Vadra’s counsel to furnish a personal bond of Rs 1 lakh and a surety of similar amount. Opposing the interim bail, ED’s counsel D P Singh and Nitesh Rana said that during interrogation of Manoj Arora, an aide of Vadra, it was learnt that kickbacks were received in the 2009 petroleum contract, which were used to buy various properties in London. Singh submitted that months after the petroleum deal was okayed in late-2009, “khub saara paisa” (a big amount of money) was transferred to Vadra’s firm. The ED submitted that there were other cases, allegedly involving acquisition of property through money laundering. The counsel also averred that Vadra possesses six flats abroad. Tulsi responded saying that Vadra is a law-abiding citizen and called this a case of political vendetta. “He is socially active and has strong roots in society. (He) is a family man and is unlikely to abscond. He is a law-abiding citizen,” Vadra’s application stated. Tulsi also submitted that Vadra had gone to the US to look after his daughter in connection with her surgery and is in London at present to attend to his aged mother. The court was also informed that Vadra expects that he can be summoned anytime, although no summons have been served until now in connection with the arrest of his aide Arora, who is already being protected from arrest in the matter till February 6. The court directed him to appear before the ED on February 6 evening.